We drove past Kirstenbosch on Sunday from Hout Bay and was totally taken back by the amount of cars and people coming to the concert. The fact that Just Jinger was performing was a sure indication of the huge masses at Kirstenbosch. You guys were lucky to get a good possy. We went to see Arno Carstens a few years back and although we thought we were early enough, we were sitting so far back that we couldn’t see the stage. The concerts have become so popular to the extent that they have become too popular. So popular that you actually need to get there in the late morning/early afternoon to secure a good spot, not only in terms of parking, but a good spot on the grass too. When we left Kirstenbosch one Sunday at 12pm after a morning picnic, we were totally astounded by the number of people and cars at the gardens already. We hope to get to the concerts in the future … once Josh is bit older. They have always been one of our highlights of the Cape Town summer. I agree. I miss the days when half the fun was getting your ticket early in person if you were really desperate to see the performer (which meant going to the gardens on the Friday at the earliest – there was no web purchasing weeks in advance), otherwise you just stood briefly in the ticket-booth queue on Sunday afternoons, the ticket prices were lower and not tiered, and there were far fewer people (though the concerts were still very well attended and appreciated). It’s become too commercialised and this is possibly because now mainly “big name” performers with huge followings are featured, with fewer up and coming performers for us to discover. It’s a good sign that our local music industry is doing well (remember when South African music was considered very uncool and they had to run a whole campaign to change our mindsets?) 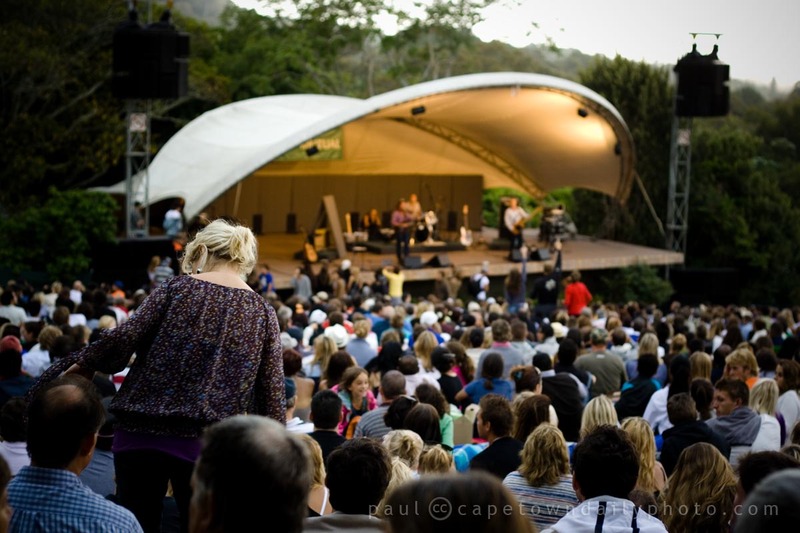 but, to me, it’s resulted in a loss of a lot of the Kirstenbosch Summer Concerts magic. That said, they were quite cool about letting us walk up to the stage to take pics (I have a truck-load of closeup’s that I still need to go through).